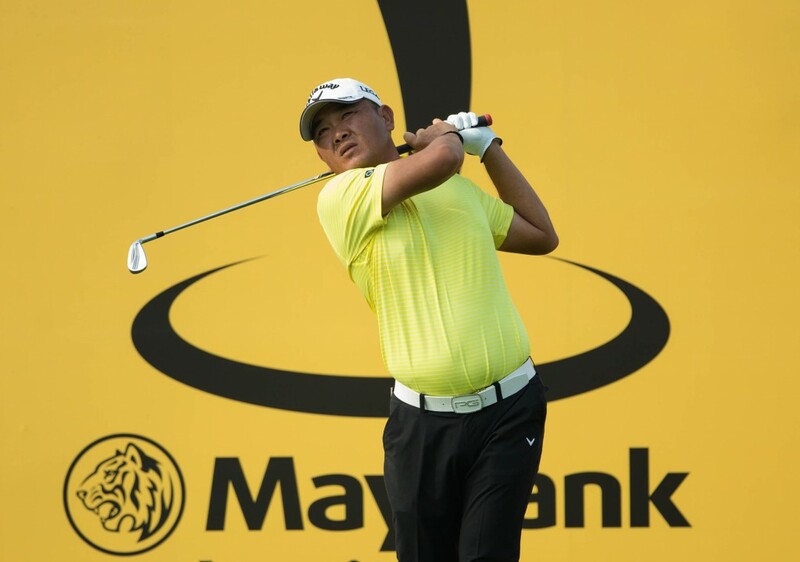 Kuala Lumpur, 10 November 2014: Danny Chia, Nicholas Fung and Shaaban Hussin are among the twelve (12) players who have qualified to play at the upcoming Maybank Malaysian Open 2015, Malaysia’s leading national Open. The top Malaysian players on the Asian Tour as well as the Professional Golf of Malaysia Order of Merit and members of the Professional Golf Association of Malaysia, will join a field of 156 players consisting of the world’s leading golfers at the event from February 5th – 8th, 2015 at the Kuala Lumpur Golf & Country Club (KLGCC). The Malaysian names announced today are not required to compete for a spot at this national Open at the National Qualifiers that will be held from the November 18th – 19th ,2014 at KLGCC as they have qualified through their rankings. Four (4) additional spots are being vied for at the two-day National Qualifiers that will see 100 golfers competing for the privilege of participating in the Maybank Malaysian Open. 2015 will also mark the 10th anniversary of Maybank’s title sponsorship of the national Open. The Maybank Malaysian Open offers the highest number of spots for Malaysian golfers in a co-sanctioned international golfing event in the country. As a joint initiative by the Malaysian Golf Association (MGA), Maybank and GlobalOne to provide Malaysian sportsmen the opportunity to compete in world class events, twenty-two (22) spots up for grabs and these are divided among the ten (10) players from the Asian Tour and PGM Tour; four (4) winners from the National Qualifiers; 3 sponsors invite, one (1) of which is the winner from the Maybank Tour Championship and the participation of four (4) amateurs who are selected by MGA through their own merit. Gavin Kyle Green has already secured his spot among the four (4) amateurs. The final two (2) invitational spots with the remaining three (3) amateur spots are expected to be announced by mid January 2015. Names of players joining the Maybank Malaysian Open 2015 from the ranking in order of merit are Nicholas Fung, Danny Chia, Iain Steel, Shaaban Hussin and Ben Leong are from the Asian Tour and R. Nachimuthu, Airil Rizman Zahari, Sukree Othman, Khor Kheng Hwai, Kemarol Baharin from the PGM tour and lastly, Arie Fauzi invitee courtesy of Maybank. This year, golfers are battling for more than bragging rights as Maybank have upped the ante as it marks a milestone tenth year as the event’s title sponsor. Strengthening its long-standing commitment as one of the oldest national Opens in the region, Maybank is increasing the prize purse for 2015 to US$3 million, up from the previous US$2.75 million in 2014. Ranking points earned at the Maybank Malaysian Open will go towards the Asian Tour Order of Merit and will also count towards European Tour’s Race to Dubai at the end of 2015. The Maybank Malaysian Open has over the years attracted world-class golfers from all over and have made its mark with past performances by the likes of Peter Thomson, Vijay Singh, Padraig Harrington, Retief Goosen, Michael Campbell and Sir Nick Faldo joining the field of play here.